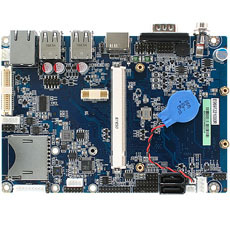 Avalue EEV-Q701 3.5” Qseven carrier board, accept Avalue EQM-CDV and future new Qseven modules. EEV-Q701 supports 1 Mini PCIe with SIM card socket. For I/O, includes 2 SATA, 2 COM, 6 USB and 16-bit GPIO.